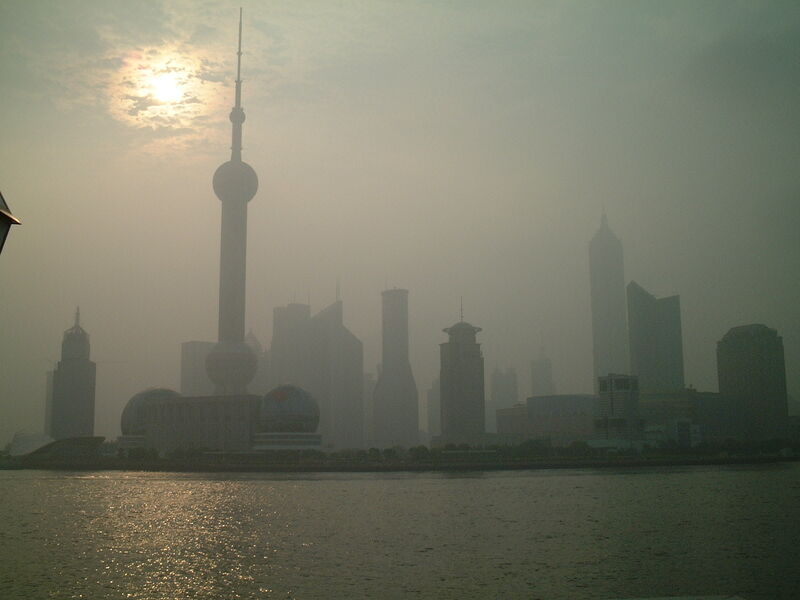 Worried about making that first trip to China ? Relax ! I was thinking today about the conversation I had the other day with the NYC lady who, at the end of this month, is headed off to China for the first time. She certainly sounded nervous, knowing no Chinese as she does and feeling very panicky at the mere thought of getting lost over there, even though she will be staying in a reputable hotel and has already arranged her SIM card on arrival in China. I re-assured her as best I could. Guangzhou, after all, is a very modern city and boasts a very modern, user-friendly subway that would be the envy of most cities around the world. In addition Chinese people are very hospitable and one really does not have to worry about getting lost in a big Chinese city. There are always people who will help you and signs in English are everywhere. Let me put it this way: you are safer knowing no Chinese and getting lost in a major Chinese city than you are getting lost on your own turf, that is in a major American city. So she really has nothing to worry about, other than perhaps getting ripped off by an unscrupulous taxi driver. Even that though can be avoided by taking taxis stationed at the hotel where she is staying and having the hotel doorman quote the cab driver on the fare. But I thought back to my first trip to China. Now that was scary. It was 1988, just ten years into Deng’s reforms. I flew over on a Canadian Airlines flight from SFO to Beijing. I remember the flight because NBC correspondent Keith Miller was on the same flight, flying coach, as well as the Canadian Olympic Basketball team. 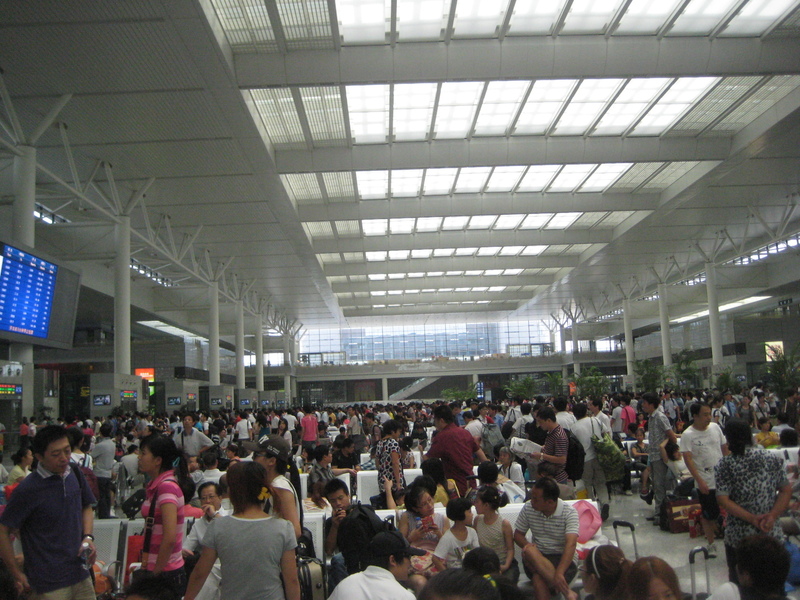 The plane landed in Beijing on a warm July evening. There was an enormous crowd of people at the gate coming out of Customs and not all of them were smiling. 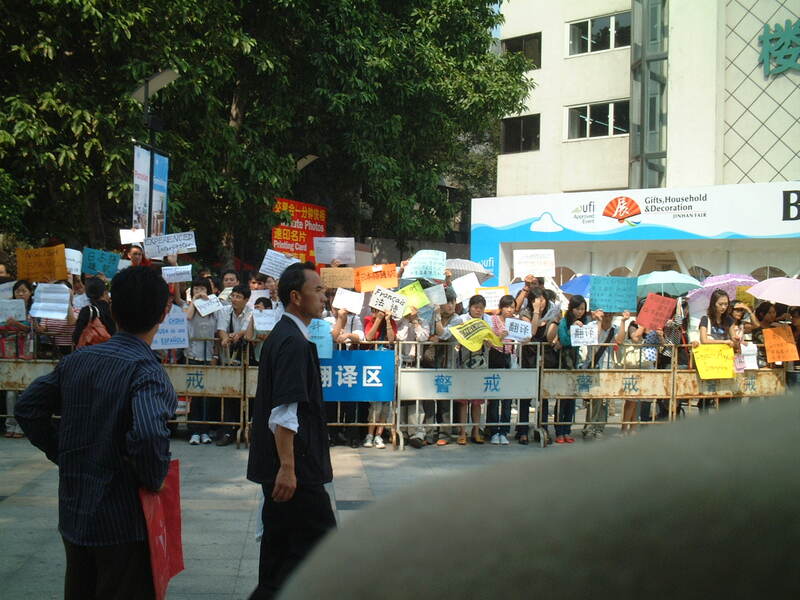 There were very few foreigners in China then and anti-American, anti-Western sentiment was palpable. To say I felt uncomfortable would be an understatement. My Chinese teacher in NYC had arranged for me to stay with her husband at their apt in Beijing but I had no idea what he looked like and all I had was a name and address. In those days most people in China did not have private telephones but used a communal phone so if for some reason we did not hook up I had no idea what I would do. Fortunately, after several minutes scanning the faces in the crowd (they were as curious to me as I was to them) I spotted my name on a piece of cardboard in a sea of arms and I knew that must be my contact. Needless to say I was very relieved. Over the next few days going around Beijing I saw perhaps one or two foreigners, and that is all. Although a lot of people smiled at me, not everyone did, and on one occasion we were refused service in a restaurant because I was American. 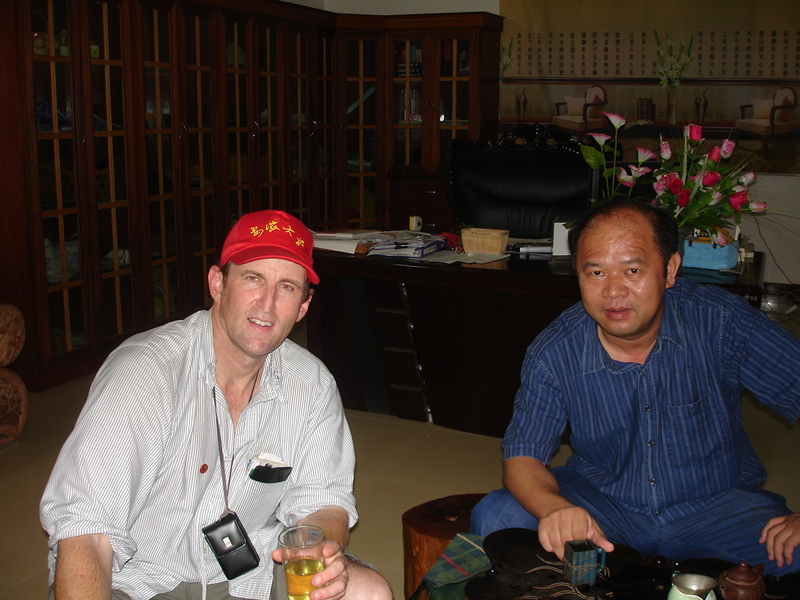 My host was embarrassed by this but in those days that was par for the course in China. It was not an easy place to be and I was very careful not to get lost. Nowadays when I go to China, I feel like I am home. Imagine that ! But I kind of chuckle when people come to me nowadays and tell me they are nervous because they are going to China for the first time. Believe, me, you have nothing to worry about ! I had an inquiry from a person in Australia this morning. I get so many inquiries like this so I thought I would publish the inquiry and my reply accordingly. 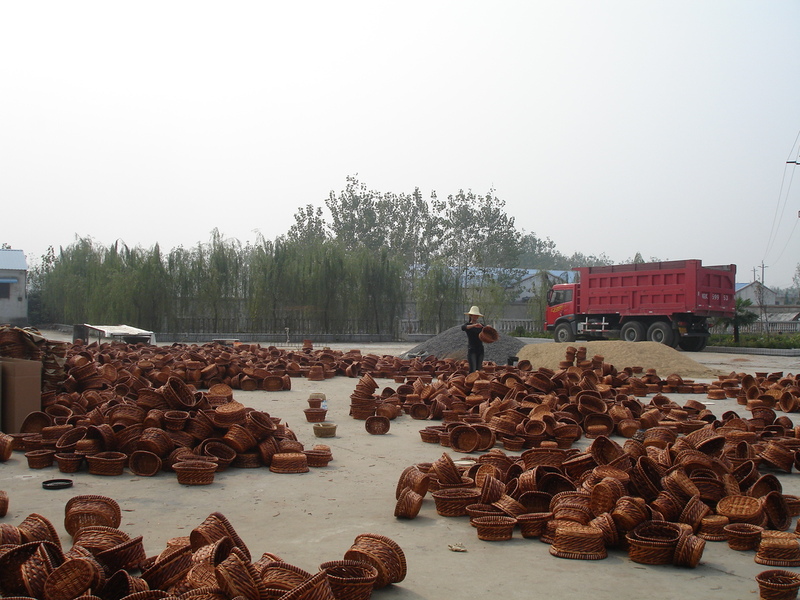 I think it will be useful for others who are experiencing the same frustrations in their China sourcing. I have read quite a number of your blogs and I wanted to ask you for some advice. My name is Robert and I am in the process of forming a startup active wear label in Australia. I have a pattern maker here in Australia so that part is covered but otherwise I am not sure how to progress forward to having my line manufactured. I have found the process to source a quality manufacturer in China who is willing to work with me both time consuming and very difficult. To start my runs will be small as I don’t know what will work for my target market and what wont. Over time this is something I hope to develop obviously, but I see the need right now to work with someone who understands China and how best to bring a product from design to production. I am hoping you can help me out or point me in the right direction. The first step before you do anything is to finalize your designs. Then based on one of your completed designs I would make a special mock design for a prototype and start sending this out to vendors for feedback/ quotes. Please note that you have to be very specific about sizing and material specifications, as well as packaging. Don’t neglect any product detail. In other words, you really have to know your design and product needs inside out (no pun intended). Where most people have problems is that they have not finalized their design, and don’t understand their own product. And then they leave it to their vendor to educate them. Not only does this add considerable time and cost to a project but it tells potentially good vendors that you are an amateur. That is not the kind of message you want to send to someone whom you are about to enter into a contractual agreement with. Here is a little synopsis of what you need to do. 1.) Finalize your designs. Pantones, sizing, material specifications. Testing requirements if applicable (children’s clothing). All packaging as well down. 2.) Project your first order QTY and target cost. Remember that the cost of your product will go up with packaging and shipping so be aware of this when you try to come up with a target cost. 3.) Reach out to vendors. Start with 20 vendors. You can use alibaba for this or I can help you working from my file of vendors, which is substantial and generally does not cover the same landscape as alibaba. 4.) See who gives you the best price and who leaves you with the best impression as far as quality of response/feedback goes. Watch carefully and eliminate two types of vendors as follows: those who are very slow to reply to you or those whose cost is simply prohibitive for your needs. Aim to have 6-7 vendors after this weeding out process. 5.) Go down to your local discount chain and buy a product that has similar material/packaging specifications as your own. Send pcs aka swatches of this material along with one of your designs to the 5-6 vendors you have targeted. See what kind of revised pricing the vendors come back with. Once again eliminate vendors whose response is feeble or whose revised cost is simply too high. At this point, maybe you have 3-4 vendors who look promising. 6.) Request samples but watch out for excessive sample fees. If a vendor overcharges you on a sample it will likely mean that they will over-charge you in production. Stay away from vendors like this. 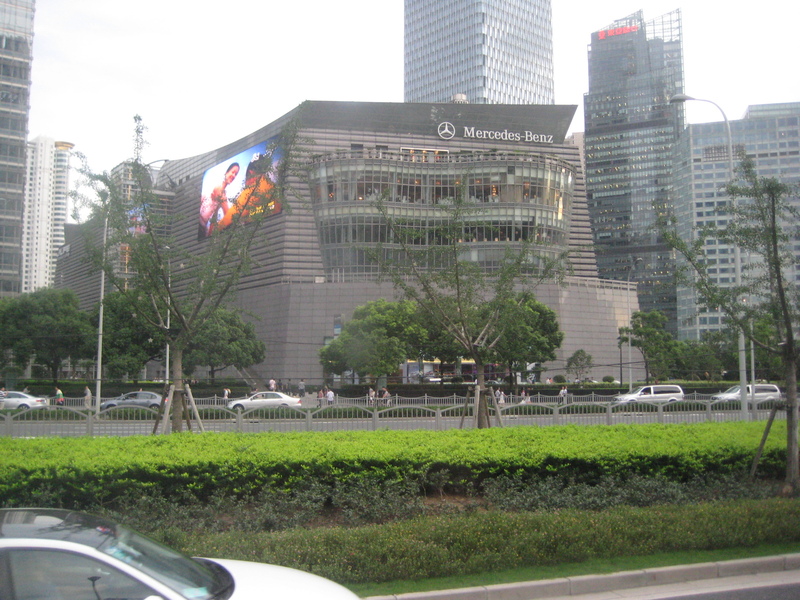 I saw an interesting article online the other day in which it was said that Chinese consumers now regard Louis Vuitton as a pedestrian brand. In one way it did not surprise me, for there are a lot of Chinese nowadays with a lot of money. Most of my old colleagues at the Shanghai Textile company where I worked as Deputy GM 20 years ago, now have more money than I could dream of. One of those colleagues bought a home in Toronto several years back and paid 1 million dollars in cash. Another colleague has two villas in Shanghai each valued at over 2 million dollars. But when I read the article about Louis Vuitton bags in China I thought back to a project I had a few years ago helping a New Jersey company source leather handbags in China. The guy who hired me, Neal, had seen the bags when he was at the Canton Show but had a hard time following up with the vendor. Her email did not work, the phone number he had for her did not work, in other words the same old frustrating exercise trying to get in touch with a vendor in China. But Neal really wanted these bags so he asked me if I could help him. I finally was able to get ahold of the vendor and requested a price list. What she sent me was a list with many bags whose FOB China cost was over $1000.00. I couldn’t believe it and when I expressed my surprise to Neal, he just kind of nonchalantly said “oh yeah, I forgot to tell you they are not cheap bags.” Still for someone who lived in Shanghai in the early 1990s when an average salary for a college educated company employee was about $ 50.00 a month, and Adidas or Nike were prestigious brands that company employees saved months for, the thought of a $1000.00 bag was something to get used to. And judging by my reaction when I read the article about Louis Vuitton bags it is still something I am not used to. But as my old friend and Shanghai resident for 25 years now, Andrew, said to me a few years back “It used to be that the foreigners had money and the Chinese were poor. Now the Chinese have money and the foreigners are poor.” Times have changed. And nowhere more so than in China. I have a client who is starting a new line of private label products and he wants to order in small QTYs from China, the goal being to see which products do well and which products do not before he pours a lot of investment into anything. These are low value added products which retail at under $ 20.00. He sent me a list of about 10 products and the QTYs he wants to get from China are from 250-500 pcs per item. I like my customer’s common sense here, for I think in any China sourcing project it is good to start small, no matter what your projections or gut feeling may say. At the same time, often what gets a vendor’s interest is large order QTYs so an order of 250 pcs may have few takers. And if someone did take the order, it would not be a priority. The one exception would be if my client had a longstanding relationship with one factory. In this case the factory would willingly take the order because they would view it in terms of the larger relationship. Getting factories with whom you have done business over the years to take small orders is rarely a problem. But my client is starting out so he really does not have these kinds of relationships with factories in China right now. For this reason, I have advised him that it is best to work through a trading company with this order, and one that specializes in the type of product he wants to import. In addition to run-of-the-mill trading companies that run the gamut in terms of what products they sell, you will find trading companies in China that are dedicated to one product category only e.g. auto parts, to stationary items, to toys, to baby products etc. I worked through a trading company once that specialized in silk flowers and automotive parts. It is an odd pairing but it worked for me because I was sourcing silk butterflies for a company in California. Had I been sourcing refrigerator magnets it probably would not have worked. So if you are looking for a trading company, it is good to remember this. Because the last thing you want to do is unknowingly give an order to a trading company that really has no expertise in the product you are interested in. You have no way of knowing this unless you do your research. At the same time working through a trading company means that my client will have to lower his product standards considerably. Because trading companies are not the primary manufacturer and cannot be expected to attach importance to any but the most basic quality requirements of the customer one has to lower their standards accordingly. So when my client is already voicing about how he can tweak this or that on a product or how he can improve quality, I told him, forget about that. You are just ordering 250 pcs of something with minimal value. Right now just see if you can get these products out of China with your own label at a cost that works for you. Once you do that you can gauge the interest in the market. Even if a customer buys something and returns it for quality issues, my client will have seen that there is interest in the product, which I think is his goal now. When he knows which products garner interest and which do not he can then start thinking about bigger QTYs and approaching factories directly with orders that will get their interest. And then he can spend more time thinking about product quality and design. They want a native English speaker with China experience to take them into China. They want to be sure that there are no surprises when they receive their orders. I think they have the right idea in terms of wanting to work with an American who has experience in China. This will save them a lot of time for the cultural gap between China and the US is so vast that you can spend a lot of time trying to bridge that gap, sometimes with little or no success. It just makes a lot of sense to have someone on your team who understands both your business and the country where you are having your product made. I don’t think you can underestimate the value of this. Beyond the obvious there is the trust factor as well. There are very upstanding vendors in China but there are a lot of unscrupulous vendors as well and the latter far outnumbers the former. If you do business with a vendor in China you really have no way to check on them, all the self-promotion and Alibaba gold certifications notwithstanding. If on the other hand you work with a an agent or liaison from your own country you can easily check their references and you will feel confident about going into China. So I think there is a tremendous comfort factor in approaching China with a local on your team as this company from Houston is trying to do. Think about it this way: The best thing is to know you can trust your supplier. But this takes years, if you can reach this level of trust at all. The next best thing is to know you can trust the person taking you into China. This takes a few days. Their second requirement that they want to be certain that what they order is what they get is wishful thinking. This really is an American way of thinking which has no practical application in China. I told them that the only way to ensure that you are getting what you order is to go to China and inspect everything before it goes into the container. Needless to say, for a small company or start up on a shoestring budget this is not realistic. Even for big companies with big orders 100% inspection is unrealistic. I emphasized that sourcing in China is all about reducing risk. But you can never eliminate that risk altogether ( unless as I said you inspect every piece). The goal should never be a perfect order but simply an order which allows you to meet the demand from your customers with ample stock on hand. In short, sourcing effectively in China is about being smart, going into China with someone who has experience there and it is about being practical, not expecting perfection from your China partners. Some things to keep in mind for first-time China goers. I was on a skype call with a prospective client the other day. She has a new product/business and would like to start sourcing in China. She has approached some manufacturers here in the US but with no success. Not only are costs to make her product, an apparel item, prohibitive in the US but she said the response she received from companies was tepid at best. Some of them didn’t even respond to her which is odd given her professional background and serious level of inquiry. Does one need to speak Chinese to do business in China? No, it is not necessary and there are plenty of people who do business in China and who do not speak Chinese. But here is a fun, and I think reasonable way to look at it: not knowing Chinese will never help you and may hurt you. On the other hand, knowing Chinese will never hurt you and may very well help you. The big picture is that the Chinese want you to respect them and one of the best ways to show them respect is to make an effort to learn their language. This does not mean you have to go down to your local college first thing Monday morning and sign up for an intensive Mandarin course but you should at least learn some greetings and maybe even a few proverbs, your knowledge of which will make a good impression on the people you meet in China. Just remember, big companies can afford to hire locals with good English skills to help them in China. Small companies must do everything on their own. How do I find and settle on a supplier? Locating good suppliers is just a process of establishing contact, sending out samples and requesting counter samples and working with vendors to get to your target costs and achieve product quality you are happy with. One thing to pay close attention to when you are feeling out suppliers is how well do they communicate with you. Do they reply to your emails promptly or do they make you wait ? Are their answers to your questions perfunctory or thoughtful ? Do you have a feeling that they want your business ? Just remember this: if the communication is sporadic to begin with, it will not be any better once you order. And in fact it may get worse as you ask more questions requiring more thoughtful and detailed answers. If you are working with printed patterns then you will need to provide vendors with all artwork and pantones. I have often said that one really needs to finalize design before approaching vendors. Some of these vendors are very busy and if you approach them with a design and then change that design along the way they get frustrated. And it sends them the message that you are not organized/professional. So the first step is to finalize your design and have all the artwork on file. How much will it cost to get samples? Cost of samples will vary depending on your design. If you want to use printed fabric with your own design, of course there will be a charge to cut a screen (usually $100-$200.00). If you have definite material or fabric requests then you need to send your vendors swatches and let them source for you. Often when you have specific material requests vendors may not have adequate stock of that material on hand and may have to use a substitute fabric. This is OK. A note on zippers: You should specify YKK because Chinese zippers are pretty bad. And even with YKK you have to be careful because there are plenty of fake YKK zippers in China. What should I do to protect my designs/product in China ? For protecting all IP it is a good idea to register your trademark in China as well as in the US/Canada. The cost to register a trademark in China is 600-1000 USD if you use a Chinese lawyer and probably 3 or 4 times that much if you use a lawyer in CAN or the US. The key about IP is this: Don’t be paranoid about having someone take your name in China. Big companies are most often the targets. But don’t be nonchalant about your IP either. Stuff happens in China and you just want to do all your DD and take the same precautions you would take in your own country when starting a business, and this includes registering all IP. If I work with you how can you guarantee that I will get what I order ? No matter who you work with when you do an order in China and no matter how good you think your supplier is you can never be 100% sure that what you order is what you are going to get. All you can do is try to reduce your risk. And this means vetting your suppliers before you give them orders, showing up occasionally to make sure they are keeping your company’s standards in mind, and checking your orders in China before they ship and you have to pay for them in full. 1.) Consider how far your vendor lives from the factory. You are going to be communicating with your vendor on a regular basis and will be expecting them to pass on all of your instructions and concerns to their workers. It is imperative, therefore, that the vendor lives in close proximity to the factory and is there at least a few times a week. “Mr Huang” in my previous post lived three hours from his factory and relied on his brother – who lived nearby – to manage the workers. 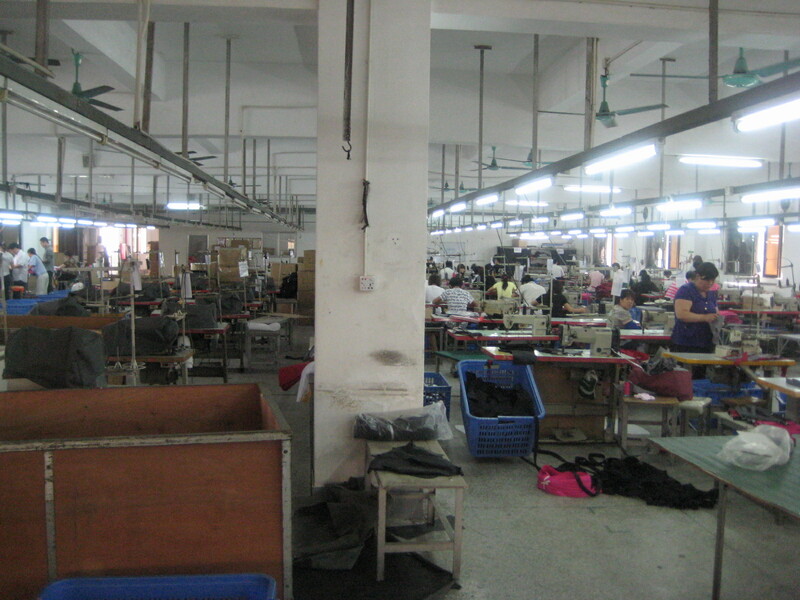 When I was at the factory, I asked one of the workers how often Mr. Huang or his assistant came to the factory and was told once every two weeks. Vendors do not like to go to the factories because the roads are bad causing significant wear and tear on vehicles, there are sometimes significant bottlenecks with the traffic meaning a three-hour trip can take all day and, most importantly, there is an abundance of down-time at the factory and nothing to do. 2.) It can sometimes be insightful to meet a vendors family. 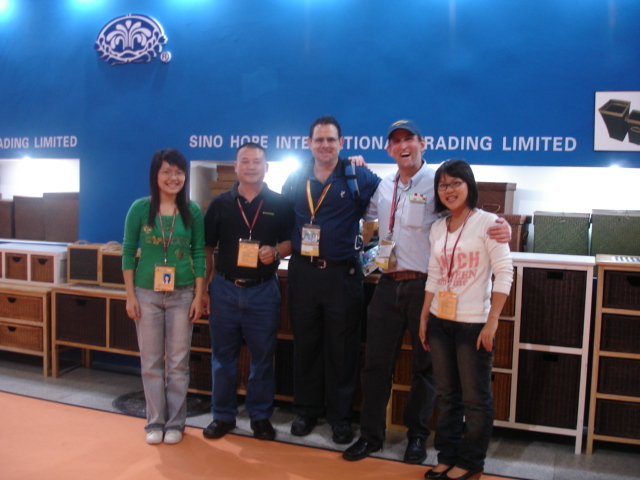 I will never forget making a trip to China to talk to a couple of suppliers, one from Anhui and one from Guangxi Province. I spent a few days with each and in that time had occasion to meet their families. Mr Zhang, the Anhui vendor, had a son whom he seemed to be having significant trouble with. He was attending a private school in Beijing but, from all appearences, was not very motivated. Well, as it turned out, Mr. Zhang’s son was just like Mr. Zhang. Even when we dangled promises of lucrative orders in front of him, Mr Zhang moved with all the alacrity of a snail. He was always behind on the production and shipping schedule and this caused significant problems with our customer because we were delivering a seasonal product. In fact at one point our customer had to stop their order processing just to wait for our deliveries. After just one year we cut ties with Mr. Zhang. Mr. Ma, the Guangxi vendor, on the other hand, was an impeccable vendor. Although he could not boast first-rate production facilities he always delivered product on time that was according to specifications and very clean. But this was not surprising to me after meeting Mr. Ma’s son, a sharp kid who was studying engineering at a very good university in Beijing. He also spoke great English. In fact, Mr. Ma’s other two sons were also attending very reputable universities. That a rural vendor – Mr. Ma lived close to the factory, five hours from the nearest city – would be able to send three children to good universities spoke volumes about Mr. Ma’s work ethic and values. Of course, you are not going to select a vendor just because he sends his son or daughter to a good university, but how he/she runs his/her family can be a clue as to how he/she runs his/her business. These, then, are some of the little things that can help you to evaluate a vendor.